Though highly unusual, the methods San Luis Obispo County’s two top sheriff officials have adopted to double and even triple their incomes are entirely legal. In an interesting twist, San Luis Obispo County Under Sheriff Steve Bolts is taking home between $640,000 and $772,000 this year in retirement benefits and an hourly salary, while his boss, Sheriff Pat Hedges, takes home $340,000, according to calculations based on dates provided by Bolts. The principal reason for Bolts’ hefty income is the Deferred Retirement Option Program (DROP). Adopted by the board of supervisors in October 2006, DROP allows county employees to simultaneously collect both their full wages and benefits along with their full retirement for a period of no more than five years. According to Tony Petruzzi, executive secretary of the San Luis Obispo County Pension Trust, actuaries looked into DROP and determined the program does not increase county pension costs. While an employee is in DROP, the county no longer pays into the employee’s pension account. The primary goal of the DROP program is to retain experienced employees even after they make their full contributions to their retirement programs. Currently, sheriff’s department personnel retire under a pension formula that allows members to retire at age 50 with 90 percent of their salaries. Opponents of DROP contend that allowing top tier employees, who have already reached their maximum pension contributions, to simultaneously receive retirement and wages results in increased costs to the taxpayers. In addition, opponents question the financial repercussions of allowing law enforcement employees to retire at 50 with 90 percent of their income. In San Diego, a community with a rising unfunded public pension liability, the sheriff deputies’ union recently agreed to increase their retirement age to 55. In addition, San Diego city officials are currently discussing DROP reform. 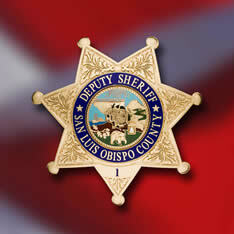 There are 24 SLO County employees currently in DROP. DROP monies are stored in an investment account and paid in their entirety to employees when they retire. After three years in the program, Bolts retired on Jan. 1 and was immediately rehired as a temporary hourly employee. In addition to collecting his DROP account monies and his retirement, Bolts is currently being paid between $70 and $82 an hour by the county. According to the county’s temporary hire rules, Bolts can put in no more than 960 hours a fiscal year. However, because he was re-hired on Jan. 1, the next 12 months fall into two separate fiscal years. Bolts said he plans to get paid for 1,920 hours before he steps down from his second-in-command position at the end of 2010. Bolts regularly works more than 50 hours a week in his under sheriff position, sources said. In Jan. 2007, Hedges began to draw both his pension and his sheriff/coroner’s salary. Earlier this year, he announced he would not run for re-election in June. Meanwhile, battered by a plunging financial market, SLO County is facing a $299 million deficit of unfunded pension liability. Public employee pension promises may be one of the most crippling fiscal disasters facing county taxpayers. SLO County is one of two California counties with independent employee retirement systems. The trustees who administer the local system have no authority to negotiate for, or to advocate for or against, any benefit adjustment. Only the SLO County Board of Supervisors has the power to determine whether future county employees will participate in a compensation package that is now far more generous than what most of their employers, the taxpayers of the county, receive. Part of this article is misleading…it states..Currently, sheriff’s department personnel retire under a pension formula that allows members to retire at age 50 with 90 percent of their salaries..this is TRUE..but it is a little different..you can retire at 50 wiith 3% for every year that you work up to 90%…start at 25 work to 50 =75% this sentence makes you think that they all get 90%..not the case…most cops get sent out early on medical for injuries…I think the life span for a white male law enforcement officer is around 60 years old…most die a lot earlier than other people…in addition..I know a lot of cops that have 30 years on..that long dealing with what they deal with takes a toll on a person and they need to leave! In 2009 124 law enforcement officers had died in the line of duty from all causes, a 7 percent reduction from the 133 fatalities in 2008, according to preliminary data compiled by the National Law Enforcement Officers Memorial Fund (NLEOMF). 48 officers were shot and killed in 2009, compared to 39 in 2008,12 were struck and killed by automobiles while outside of their own vehicles and four died in motorcycle crashes. I don’t agree with the amount of money the higher ups, but cut the guys that work the streets a break. As an aside getting shot and going quickly is a lot less gruesome and painful than what happens to a fisherman. Try getting wrapped up in a winch or dragged overboard when a line loops around you, or freezing to death. I used to do this in New York and it made puke when the POA talked about police work being dangerous. According to a story in this week’s RCR Wireless News (updated with live link), building and climbing towers (which can be hundreds of feet tall) is more dangerous than ranching, fishing, logging, and even ironworking. The fatality rate is currently>>>>>>>>>>>>>>>>>> 183.6 deaths per 100,000<<<<<<<<<<<<<<<<<< workers: Five tower workers died during one 12-day span earlier this year alone. 18 tower workers died on the job in 2006. You know by most definitions taking money without peoples consent is ROBBERY. And that's just what's government workers are doing… it's only been public info since the newpapers sued a couple of years ago. Now see , now we're disgusted. Tell your neighbors, co-workers, and friends about this . . .
And nail your local city, county, and state reps on this. TODAY. Esp. your Sacto guys that refuse to cut the state stuff, even the worst: The corrections dept(TEXAS has same number of inmates . . . costs 1/3 what CA. does), and CARB, Ca. Air Resources Board. Fire CARB chairman Mary -the merciless- Nichols and Hien Tran CARB lead statisician that lied on his resume. Then got a mail order degree. So he doesn’t get fired??? Tell your reps to bring home the bacon- save the schools, transit districts, HOMELESS shelters, FOOD BANKS, and local govt. I am so sick of hearing about 6 fig salaries but no resources for the unemployed or otherwise unfortunate. shorty that’s a pretty tall building they get blown off of, and about the best post on this article, I’d give you some thumbs up but, somebody took away my right to vote, so I’m going to write you my own compliment, well done informative and I wouldn’t even question the validity! away from you . Further comments lamenting your lack of thumb powers will be cheerfully considered for deletion. Shorty you beat me to the punch, thank you for posting those statistics. Statistics are constantly misused by government employees to justify their actions and salaries, but statistics mean NOTHING unless they are compared to other statistics. I would also like to point out that the 38 officers shot in 2008 represents one of the lowest number of police shootings in recent years, so to use that number to show an increase in 2009 is TOTALLY misleading. I also noticed that some cop or government employee came along and marked some of these messages down. I would suggest that instead of attacking the people who pay their salary, they may find their careers are better served by becoming defenders of truth and friends of the public, because the tide is beginning to turn against those who don’t. “I can see people saying this is double or triple dipping,” Bolts said. “But this is the pension plan and I am not hiding anything. All of that money is mine anyhow.” BOY IS THIS GUY AN AMERICAN! All of that money is mine anyhow? What a sincere individual with a true commitment to serve himself to some extra, maybe he’ll buy a jet next or cut and paste some phony deeds of trust, no wonder the Gearhart Gang got away! With LEO like this,,,,,no wonder crime is abundant they learned from the pros! If this is legal which could be contested, it is certainly not ethical or moral, which in turn means these high payed officials have no ethics and no morals! Let the janitor of the Sheriff’s department take over as acting Sheriff, we would have a cleaner compound. At least they were joking, I think! Chese I like your point. Hell a cop gets shot at once in awhile (IN THE BIG CITY NOT HERE) and combat troops see it pretty regular. Excellent point. I wish I could have given your post 50 thumbs up! I bet the negative left is a Gov. employee. To be sure, I have observed that members of police unions adamantly troll the comment sections on articles which might cast them in a negative light. This is consistent across the country. Check out any articles on incidents where police have had to use their weapons and you will likely observe what appears to be organized attempts to manage/manipulate perception. Often they will post under multiple names, sometimes purporting to be unaffiliated with law enforcement, but patterns become observable and IP address records will often support this assertion. Thanks BTDT no red left, our boys in blue don’t even have it 1/100 as bad as our men and women in green, now they are being pulled from their jobs and being sent back to fight more, think they really want to go.